Editor's note: This story was reported as part of a collaboration with APM Reports, NPR and Great Lakes Today, a public radio station consortium that reports on the Great Lakes. Last week, when the polar vortex forced all but the hardiest Minnesotans to huddle indoors, a Duluth utility crew labored outside in a 50-below wind chill, sledgehammering through 5 feet of frozen soil beneath a neighborhood street. The night before, a 6-inch water main buried beneath the street had broken, sending water spewing. It quickly turned to treacherous ice. "This section has been problematic for us," said city utilities supervisor Chris Kleist. "We've had a number of breaks here over the last few years." The work was bitterly cold and tedious. It took two crews 24 hours to break through the rock-hard ground, fix the pipe and repair the street. A typical broken water main repair costs the city about $7,000. The next day, four more pipes broke. "We've had a long history of water main issues in the city," Kleist said. "We average roughly 140 water main breaks per year, so we've got a lot of experience repairing them. But it's always a challenge, especially in the winter." When you take into account all the water lost in those breaks, plus the cost of fixing smaller leaks, Duluth has spent about $3 million a year over the past several years, trying to keep up with breaking pipes. To keep up with those costs, the city has had to lean on its residents. Duluth has some of the highest water and sewer rates in the state, compared to other regional hubs across Minnesota. The irony, of course, is that Duluth sits at the headwaters of Lake Superior — the largest freshwater lake on the planet. The giant lake holds enough water to cover North and South America with 1 foot of water. It contains 10 percent of all the world's fresh water. And that water is remarkably clean and cold. The average family of four in Duluth pays $1,064 a year for sewer and water. Compared to 13 other regional hubs around Minnesota, in 2018, only residents of East Grand Forks and Marshall paid more. 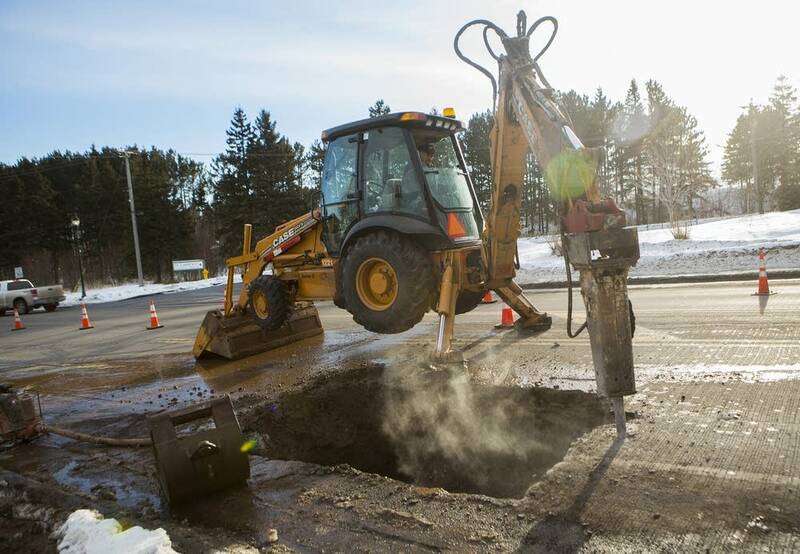 It's a symptom of a much larger problem: Duluth's water and sewer infrastructure is aging. According to the city's chief utilities engineer, Eric Shaffer, 25 miles of the city's water pipes were built in the 1800s. Lots of additional pipes were laid in the early 1900s. And some of the city's newer pipes, from the 1950s and 1960s, are of much lower quality than the old, sturdy ones — and already in need of replacement. Underneath the city of Duluth, 435 miles of pipes criss-cross in a web of water delivery. On average, they last about 100 years. So to stay on top of maintenance, the city has a plan to replace 1 percent of the system — about 4.3 miles of pipe — each year. To pay for that, Duluth approved an annual rate hike last year of nearly 5 percent each year until 2023. "It's a very, very hard decision," said Shaffer. "Nobody wants to raise rates — ever. We don't want to chase people out of the city with heavy water and sewer rates." But "if we don't replace it today then what we're doing is leaving a problem for our children 50 years from now," Shaffer added. Duluth faces some unique challenges when it comes to water systems. It's rocky, on a steep hillside, with clay soil that corrodes pipes. The city is long and narrow, stretching 20 miles from east to west, which requires more infrastructure. "Duluth is not unique in any way," said Jeff Freeman, executive director of the Minnesota Public Facilities Authority, a state agency that helps cities pay for water infrastructure projects. "Pretty much every city has those issues to a certain extent," he said. "Aging underground infrastructure, the sewer collection pipes and the water distribution water mains are the biggest share of the estimated water infrastructure needs that the state faces." And that means, in many cities, higher rates. St. Paul has ramped up its water main replacement program and is now swapping out 8 miles of pipe per year out of a 1,200-mile-long system. Many of those pipes were installed before 1930. 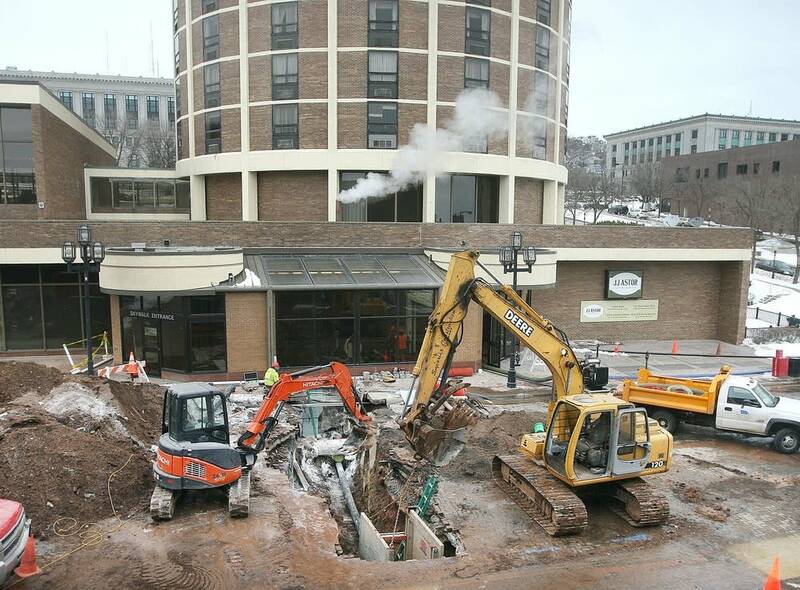 To save money, the city prioritizes replacing pipes during street reconstruction projects and focuses on pipes with a history of breaking, said Steve Schneider, general manager of St. Paul Regional Water Services. About a third of Rochester's wastewater collection pipes are made of clay, which require more upkeep and maintenance than cast iron or plastic. "We spend somewhere between $5 and $6 million a year just to maintain and repair the system," said wastewater utility manager Wendy Turri. Minneapolis has invested in technology to gather video footage from inside pipes to pinpoint the problem spots, so the city can more efficiently repair infrastructure. "We have pictures of what a 100-year-old pipe looks like," said public works director Robin Hutcheson. "Nobody likes to have a rate increase, but if you can tell the story of what we're working with, there is more understanding for what we're trying to do." Still, water rate increases can have real impacts. The city of Duluth shut off water service to customers about 500 times in 2016 and in 2017 because of unpaid bills. Many of those shut-offs were temporary and happened multiple times at the same address. People get caught in a "vicious circle," said Nancy Leslie, an emergency services supervisor at the Salvation Army in Duluth who helps families struggling to pay rent and utilities. Rent and utility bills keep increasing, she said, but paychecks often stay the same. "People are always trying to go from paycheck to paycheck," she said. "And if you get one paycheck a month, you've got to try and budget everything out in that one paycheck." And, she said, utilities like water are often low on the priority list of bills to pay when things get tight. But officials in cities like Duluth say they need to take care of their cities' vital water infrastructure. "I mean we cannot bury our heads in the sand anymore and push this off to a future generation," said St. Paul's Schneider. "We need to do good work now so that generations down the road don't have to deal with things that we may have put off." And that means in many places, rates will likely continue to rise.